It is all about girl power this month, as following on from daily cleaning Star Kerry, our other Star of TWO award goes to Regina Owusu. A long serving TWO employee, she is a member of the kitchen deep cleaning team, working in the London area. Regina was nominated by her manager for her unfailing commitment and eagerness to work, seldom taking days off except for annual leave. In addition, Regina is unique, as not only is a she a female in a largely male dominated kitchen hygiene team, but she also drives the TWO company van. 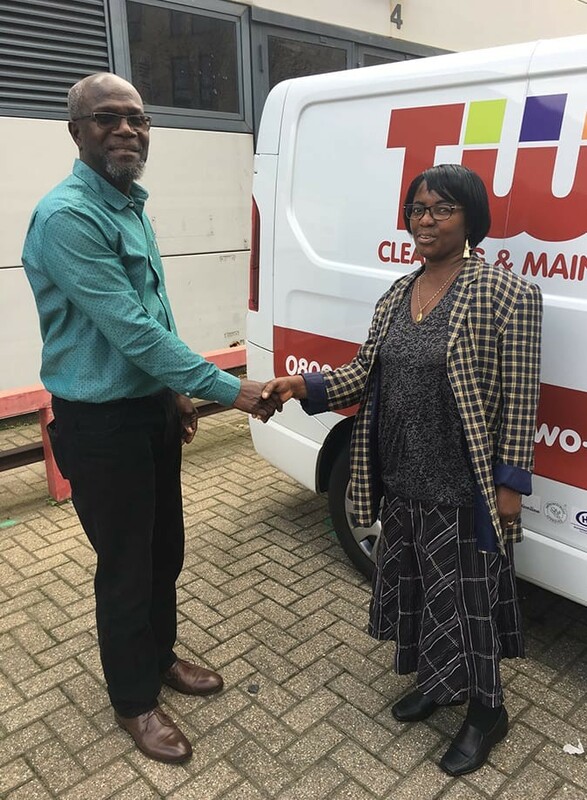 Regina receives £100 and our deepest thanks for her ongoing contribution to the business.